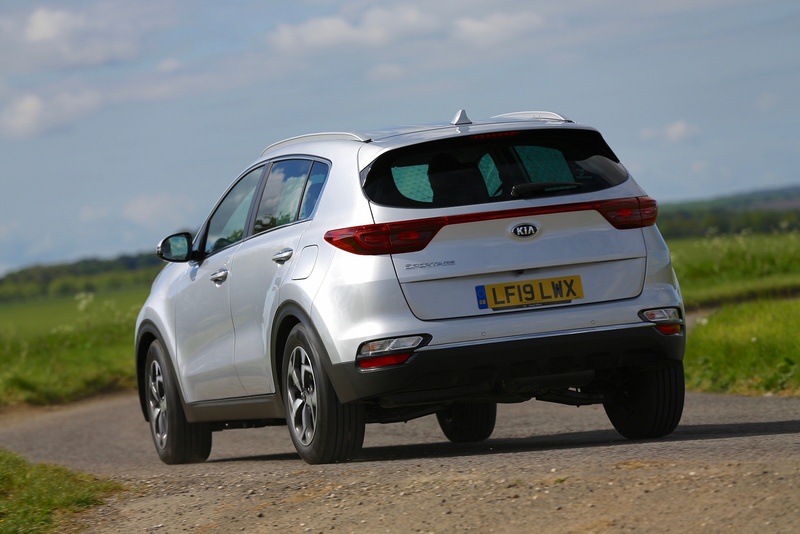 Kia Sportage - The improved fourth generation Kia Sportage would make a value-orientated alternative for buyers interested in family crossover models like Nissan's Qashqai or Peugeot's 3008. June Neary tries it. The improved fourth generation Kia Sportage would make a value-orientated alternative for buyers interested in family crossover models like Nissan's Qashqai or Peugeot's 3008. June Neary tries it. My family would rather like one of those family-sized Qashqai-style crossover models, but I was a little shocked to find that they often tend to be a tad pricey. Kia's Sportage claims to offer customers like me more of a value proposition, so I thought I'd check out the much improved fourth generation version. 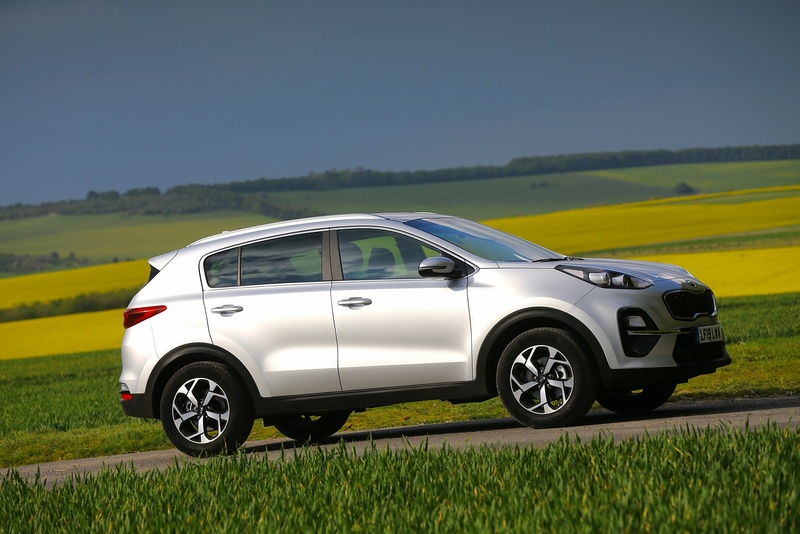 Is this Sportage quite as smart as its third generation predecessor? Having seen the car in pictures, I had my doubts but it doesn't look a badly proportioned thing in the metal. At the front, there's a redesigned front bumper with smarter fog lamp housings, plus an evolved version of the brand's 'tiger-nose' grille. Sleeker full-LED headlamps with four-point LED daytime running lights also feature. At the rear, the slim combination lamps feature a more distinctive C-shaped LED light signature. The interior too has clearly had some attention spent on it above and beyond what you'd normally expect at this price point. Minor upgrades include a redesigned steering wheel, a revised driver instrument cluster and smarter ventilation controls. The infotainment systems in the Sportage have been upgraded. Depending on trim, there is either a 7.0-inch touchscreen or a new 'frameless' 8.0-inch system, each with DAB digital radio. 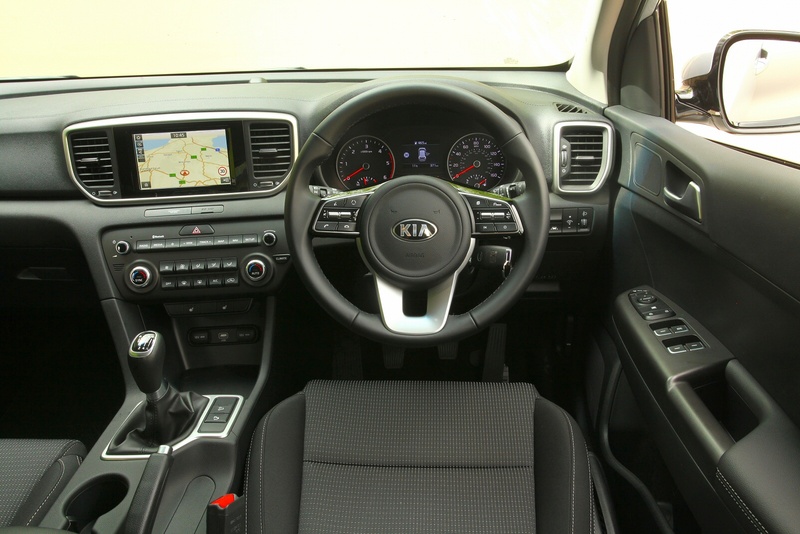 All satellite navigation systems include Kia's Connected Services powered by TomTom as standard, offering a wide range of driving-oriented information. As you'll find if you look hard enough, the designers have clearly had some cost restraints to work to but on first acquaintance with the cabin, you really don't notice the fact, the over-riding impression instead being of crisp, clean quality, with everything seemingly very nicely screwed together by the Czech factory. The cowled instrument cluster with its big centrally-mounted speedometer is clear and effective and there's tonnes of adjustment for both the driver's seat and the steering wheel. Storage space includes a deep centre console bin, large door pockets and a glovebox that's air-conditioned. A relatively lengthy wheelbase means that the cabin is quite spacious too, with decent headroom front and rear. At the back, the seats recline for greater long distance comfort. Out back, boot space is rated at 503-litres. Easily enough to fit in a couple of pushchairs then. Behind the wheel, the feeling is far more RAV4 and Honda CR-V-style SUV-like than the more ordinary family hatch-like feel of the Nissan Qashqais and Peugeot 3008s that Kia says this car competes against. A lot of buyers will think that a very good thing. It's certainly impressive the way that the designers have managed to combine a commanding driving position with a seat that's easy to slide in and out of. 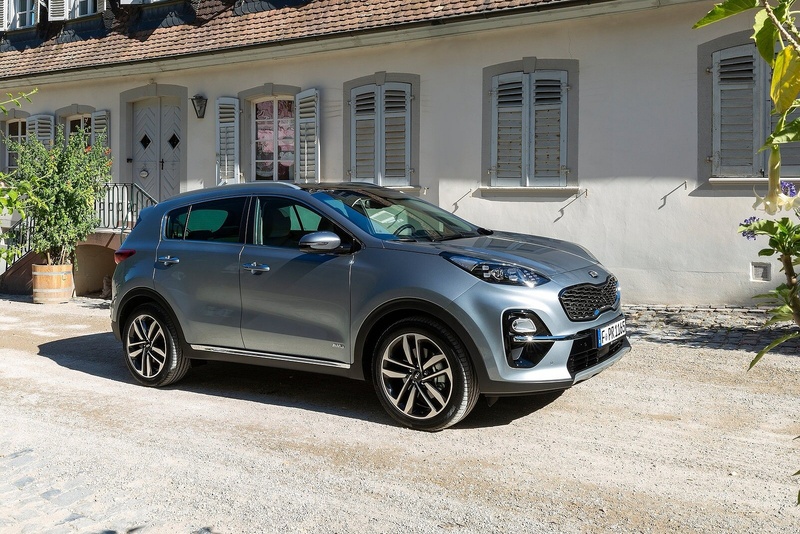 High-sided flanks, a nose invisible from the driver's seat and a small rear window do make this a car that demands a little adjustment if you're trading up from something more conventional, but once you adapt, you should find this Sportage to be an easy thing to live with. The petrol range is made up of a normally aspirated 1.6-litre GDI 132PS unit and a much pokier T-GDI turbo 177PS powerplant. Go for the T-GDI variant and you get the option of the brand's latest seven-speed DCT dual-clutch automatic gearbox. Most Sportage buyers though, want a diesel. For buyers wanting to fuel from the black pump, the range starts with a 114PS 1.6-litre CRDi variant. Above that, there's a 2.0-litre CRDi option, which now features Kia's first mild hybrid diesel powertrain. The system supplements acceleration with power from a compact 0.44 kWh 48-volt lithium-ion battery, and extends engine 'off time' with a new Mild-Hybrid Starter-Generator (MHSG) unit. Whatever engine you decide upon, you should find that refinement levels are quite impressive for this class of car. As before, buyers get a choice of both front and four wheel drive models, with changes to steering and suspension promising a slightly more involving on-tarmac experience. If that's a priority for you, then you might want to look at one of the GT Line variants, which are supposed to feature sharper, more athletic handling and deliver a slightly firmer ride. Further evidence for my conclusion that this fourth generation Kia Sportage is neither Qashqai-like Crossover or RAV4-like SUV but actually a bit of both comes with the pricing chosen by the UK importers. Most Sportages straddle both categories, with pricing in the £21,000 to £35,000 bracket. Equipment levels have been boosted across the range. Even the grade '1' variants come with 16-inch alloy wheels, air conditioning, a DAB radio, Bluetooth with voice recognition, automatic light control, a reversing camera system and Apple CarPlay and Android Auto smartphone connectivity. In addition, there's Trailer Stability Assist (TSA), Hill-Start Assist Control (HAC), Downhill Brake Control (DBC) and cruise control. All models from grade '2' spec have a Lane Keep Assist System (LKAS) to alert a tired driver who may be about to stray into the path of a vehicle approaching from behind. Plus High Beam Assist (HBA) to switch between full and dipped beam automatically when there are other vehicles in their vicinity on unlit roads. And a Speed Limit Information Function (SLIF) within the instrument cluster. Efficiency levels are much as before, not surprising given that the mainstream engines are little different from those supplied with the previous generation version of this car. 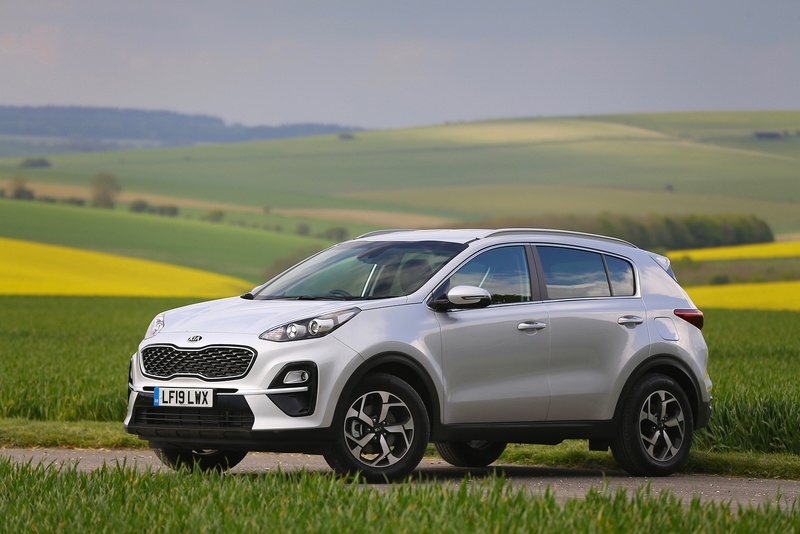 This means that the best-performing mainstream Sportage from an economy and emissions perspective remains the front-wheel drive 1.6 CRDi diesel which manages 57.6mpg on the combined cycle and 130g/km of CO2. Like the rest of the Kia range, the Sportage is sold with the excellent seven-year or 100,000-mile warranty. It is fully transferable should the car be sold before the time or mileage limits have been reached. Fixed cost servicing also brings additional peace of mind via the Kia Care-3 and Care-3 Plus servicing package, offering retail customers inflation-proof servicing for the first three or five years. Provided that you're not expecting a really sporty SUV or an off-roader in the traditional sense of the word, it's hard to see how this Kia Sportage would disappoint. It's well built, it rides well, there's a strong range of engines, a choice of front or four-wheel drive and - the clincher for many - it looks smart. This South Korean brand has made huge strides in terms of design sophistication, engine efficiency and marketing savvy in recent years, all of which is reflected in this car. It's worth checking out.